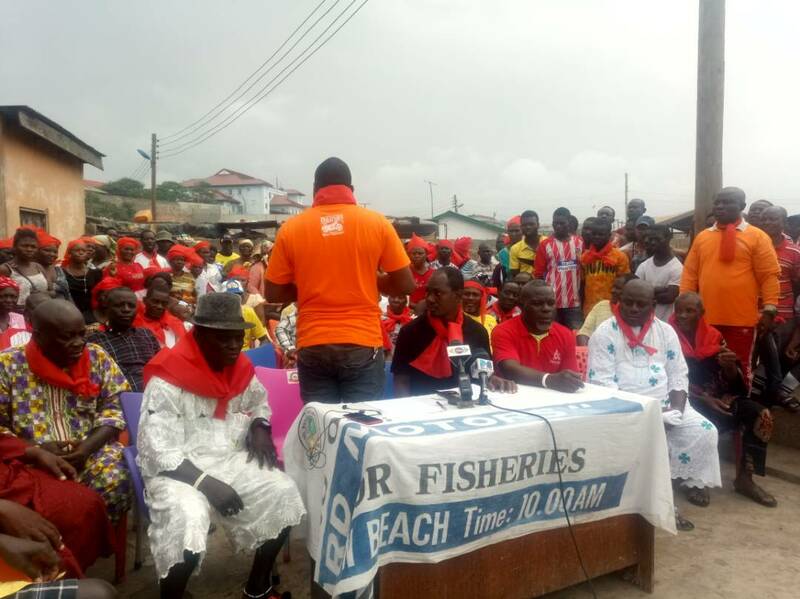 Fisherfolk in Jamestown in Accra have postponed their planned march to the Jubilee House in protest of the closed fishing season in August 2018. 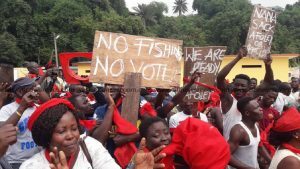 According to theÂ spokesperson for the fisher-folk, Nii Nertey Netteh, theÂ Ghana National Council of Fishermen asked that the government be given until Friday, July 27. “What they have asked us to do is to hold on with the demonstration [until] Friday because they will be asking the government to respond to the things they will say on Tuesday,â€� Mr. Netteh explained. The closed season is intended to allow fish spawn to improve Ghanaâ€™s dwindling fish stocks. Whilst the fishermen are in support of the idea, they have said fisherman have not been adequately educated. TheÂ Ghana Aquaculture Association is fully in support of the closed season, and has even called for anÂ extensionÂ to three months. The Association’s president, Jennifer Asodji, said the closed season was critical for Ghana in the long-term. There has been a demonstration so far by fisher-folk in the Western Region, whereas in the Central Region, opinion leaders have also called for a postponement of the ban. In 2017, the co-convener of the Fisheries Alliance, Richster Nii Armah Armafio, said that the Fisheries Commission was working with the implementers of the Sustainable Fisheries Management Plan Project to bring a halt to all fishing activities for one month this year. The reason given at the time was that such an act would help in the regeneration of fish stock in Ghanaâ€™s fishing waters. The post Jamestown fisherfolk postpone demo against closed season appeared first on Citi Newsroom.